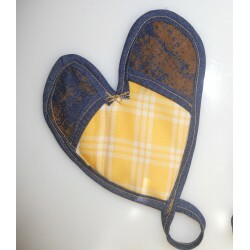 and other useful objects that beautify our days!! FABRICS There are 107 products. belongings, such as glasses, laptops, tablets, documents etc. accompany us daily with style and colour. both practical and aesthetic needs! 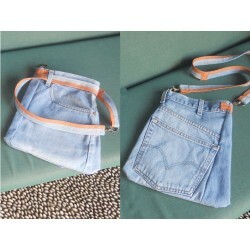 Messenger / Shoulder bag - Small (Size: Width, top 28 cm - bottom 32 cm, height 31 cm). 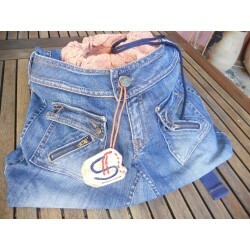 Made out of a child’s blue-jeans trousers, with an extendable leash, so that it can be used either as a messenger or a shoulder bag (see "Other Information"). 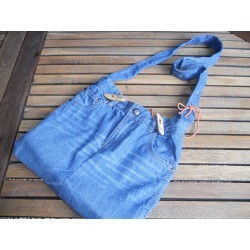 Backpack - Small (Size: Width 40 cm - Height 38 cm). 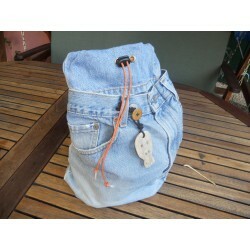 It is made of a man’s light blue-jeans trousers with orange - brown details and has three internal storage compartments. The one in the middle is keeping apart and "hiding" what we do not want found (our treasures or .... our laundry!). 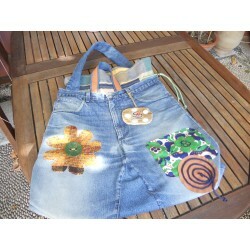 Beach & Shopping Bag XL. 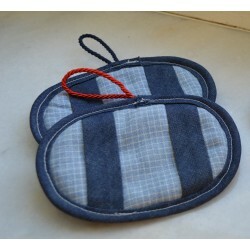 (Dimensions: Width 46-54 cm, Height 45, Bottom 50x15) is made of a man’s blue-jeans trousers with yellow details and features two wide straps for hanging on the shoulder. 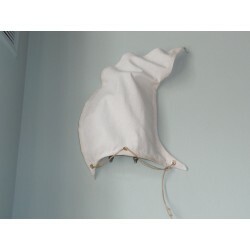 From the inside, there’s a separate waterproof bag fitted, while the bottom is reinforced with marine plywood, to provide greater resistance to weights. Set of 2 pieces "thimbles of Fire" –Sea. 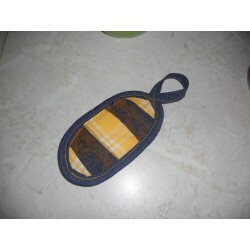 Includes 1 pc Midi (Dimensions 15x10 cm) & 1 pc.Mini (Dimensions.12,5x7). 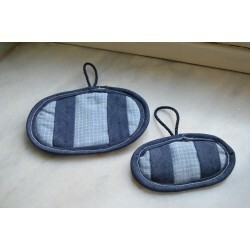 Protective handles of cooking appliances, fireplace or BBQ accessories. They are made of reinforced iron-cloth and decorative fabric as a basis and have special compartments for fingers, made from edging fabric. "Thimble of Fire» - Midi. 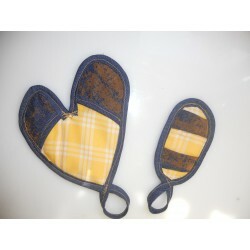 Protective handles of cooking appliances, fireplace or BBQ accessories. It is made of reinforced iron-cloth and decorative fabric as a basis and has special compartments for fingers, made from edging fabric.